The endothelium is a critical mediator of blood pressure homeostasis through its roles in producing and interacting with circulating vasoactive compounds, most notably nitric oxide. 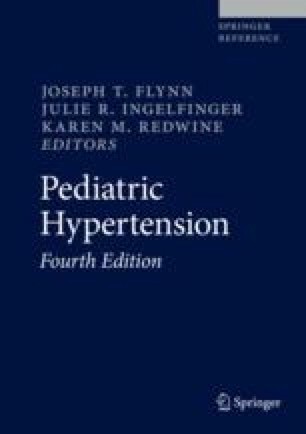 Endothelial dysfunction is a marker of cardiovascular disease and may develop under a variety of conditions commonly observed in the pediatric population including chronic kidney disease, acute kidney injury, and childhood obesity. Ongoing endothelial dysfunction eventually leads to adaptive mechanisms, namely, vascular remodeling by which the structure of resistance vessels is altered, as is systemic blood pressure. Multiple factors central to the endothelium contribute to and perpetuate vascular remodeling including hemodynamic forces, reactive oxygen species, and the adipokine adiponectin.